Novartis is licensing the tear-analyzing contact lens designed by Google X. The smart contact might become more than a concept. When Google [x]—the company’s crazy-research arm—announced a smart contact lens in January it sounded exactly like the type of awesome idea that comes out of an R&D department and then … never goes anywhere. But this time might be different! 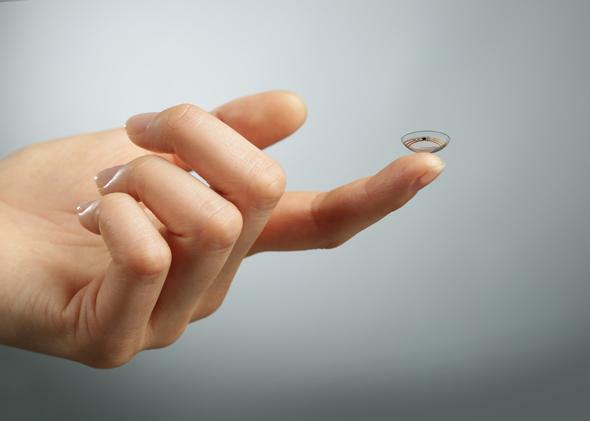 Google and the Swiss pharmaceutical company Novartis announced Wednesday that they are collaborating to actually develop the lens. In addition to data tracking for diabetes patients, Novartis also hopes to develop the contact lens so that it can perform “accommodative vision correction” over time, meaning the lens could be used to restore people’s natural autofocus ability. Google did say in January that it would be looking for manufacturing partners, and now the company is actually following through. Bionic eyes, here we come.